Dental implants have been one of the great dental developments of the 20th and 21st century. It has helped countless people regain their chewing ability and their smiles, not to mention their self confidence and esteem. At its most basic, it is nothing more than a ‘man made’ tooth. In the past few decades, though, implant technology has advanced by leaps and bounds. They are now routinely offered by many dentists and is probably the first line solution to missing teeth. With so much information out there, and so many dentists recommending implants, I wouldn’t be surprised if you are feeling overwhelmed by it all. Here is the definitive, simple, and easy to read guide to all that you need to know. When would you need implants? ‍To replace a missing tooth. A tooth has two distinct portions: the roots (which is a titanium screw-like object buried beneath your gums), and the crown (which is the tooth-like structure above the gums). A dental implant, made to mimic a tooth, also has a component below the gums (the fixture, or screw), and a component above the gums (the crown). Excellent aesthetics If you had a missing tooth near the front of your mouth, you probably would want it to look like a normal tooth so that people wouldn't be able to tell the difference. We use a colour guide to match the implant with the colour of your natural teeth so that nobody can tell the difference between both! Losing your molar teeth is a common problem. Molar teeth, which are situated at the back of your mouth, play a vital role in helping you chew your food. If you have lost one or more of your molars, you would probably have experienced difficulty in chewing. Implants are strong and are meant to be able to handle the same pressure as normal teeth. Implants are the closest like-for-like replacement of a tooth. It feels the most natural and can be treated, cleaned and maintained like a normal tooth. This is unlike other prostheses like dentures, which have to be removed daily and cleaned, or bridges, which require other additional techniques to keep it clean. As mentioned earlier, for implants to work, there needs to be enough bone so that the fixture (also known as the screw) can be housed and supported. If there is insufficient bone, the implant will not be stable and may start to become loose, which is a disaster. The amount of bone in the jaws are unevenly distributed. The back parts of our mouth tends to have more bone, and the front part tends to have less. This means that it is more challenging to do an implant replacing the front teeth, as there is less bone to support the implant. Also, the amount of bone differs between sexes, races, and ethnicities. As a general rule of thumb, males and African-Americans have a larger reservoir of bone, making it easier to do implants. How long have you waited to do your implant? The amount of residual bone tends to decrease after losing your teeth. Take the above picture as an example. You can see that the middle tooth has been extracted. The wound has mostly healed, and we can see an empty space of gums. Over time, the bone underneath this empty space of gums will shrink, and the width and height of this residual bony ridge will decrease, making it more difficult for us to place in an implant. The longer the time has elapsed since extraction, the more the bone decreases, and the lesser the space available for an implant. This means that if you had extracted your tooth 15 years ago and are thinking of getting one only now, it may be difficult to do so. Of course, bone loss occurs differently between people and some are more lucky than others. You will have to visit your dentist for a proper consultation before a verdict is reached. Is it the end of the road if there is insufficient bone? Don’t fret, there is always bone grafting! Bone grafting is the process of adding extra bone so that an implant can be placed. This bone can either be harvested from your own body (usually taken from another part of your jaw), or it could be foreign bone (either from an animal or from an artificial man-made source). This process involves a minor surgery whereby additional bone is added to the particular area with the deficiency. The area is left alone to heal and evaluated a few months later. Bone grafting does not always work. Bone grafting tends to work better in cases of deficiency of bone width rather than bone height. Also, in small, naturally petite individuals (especially females), bone grafting may not work. Their bodies naturally hold less bone, so any additional bone added will be viewed as excess and will be consumed by the body. Again, you will need evaluation by your dentist to assess your case suitability. Many people think that an implant, being made of (mostly) metal, is impervious to germs and bacteria. While it is true that implants cannot suffer from decay, they can still be affected by gum disease. 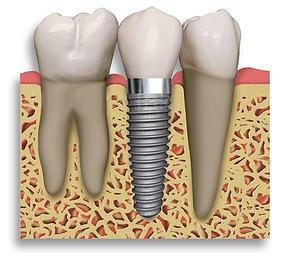 Over time, this will cause the implant to become loose and it will eventually have to be removed. If you already have existing gum disease, you should not have them placed until the gum disease is resolved. Should you go ahead, it will eventually fail and you would have wasted your hard earned money. Do you have these medical conditions? Implant surgery, although minor, is still surgery and involves manipulation of the soft tissue and bone. Dental Implants- am I suitable? If you are missing multiple teeth This is a difficult point to generalize. If you are missing a single tooth, a single implant replacing that tooth is relatively simple to plan for. In reality, however, people do not only have a single missing tooth. They will have multiple missing teeth in many different combinations and positions. While it is not uncommon for multiple to be placed, it becomes progressively more complicated, and not to mention, more expensive. If you have many missing teeth, perhaps other replacement options may be deemed more suitable. Implants replace missing teeth, but do you know that they are NOT the only option? There are always pros and cons associated with each choice, and just because someone you know received an implant does not mean your case is suited for one. Every case is different and unique, and an implant may not be the best option for you. ‍Always ask your dentist if you have any doubts. Anywhere between $3000-$5000. The final cost depends on numerous factors, including difficulty of the case, the materials used, the brand, and so on. The cost also increases if additional surgery like bone grafting is needed. $5000 does seem like an awfully large sum to pay for a screw-like device. However, the process requires multiple procedures and may be spread over a period of multiple months. This is unlike, say, a filling, which can be done in a single visit. It is useful to think of the cost being distributed over two main stages: the surgery stage and the prosthodontic stage. During the surgery stage, the screw is placed in bone. The wound site is then left to heal for a few months. This is an important process to allow the screw to form a union with the bone. 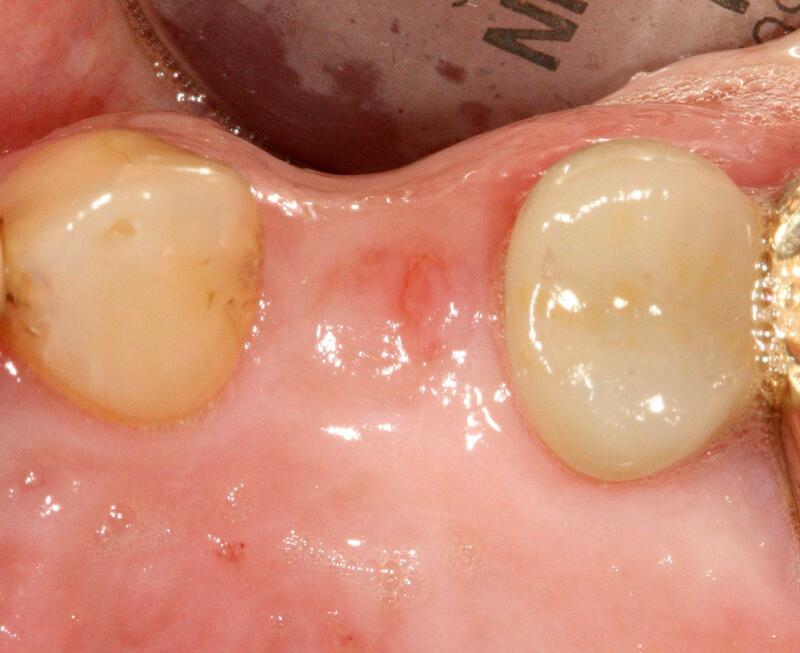 The next stage is the prosthodontic phase, where the crown is fitted onto the screw. Each stage is a work intensive process requiring equipment, personnel and expertise. You will likely have to go for a total of 4-5 visits until your implants are finally issued. Hopefully this explains why the costs are high. You may occasionally find dentists offering implants for a much cheaper price, but remember to check the brand, and whether or not they are using ‘mini implants’. Speaking of which...What are they, and why are they so much cheaper? Conventional implants measure between 3-6mm thick. Mini implants are defined as being less than 3mm in thickness. Research has shown that thickness (or diameter) is important in guaranteeing success. Thinner ones are less strong and do not handle the chewing pressure as well. As such, there have seen higher failure rates as compared to conventional implants. Mini implants are not recognized by the Singapore Dental Council as meeting the sufficient standard of care. Although they are much cheaper and have their own uses, they are not recommended as a traditional tooth replacing implant. What are the ‘best’ brands? There is no ‘best’ - only implants with long and consistent track records of success. Click here for a more in depth look into these different brands. Generally, yes. With safe, experienced dentists who know what they are doing, they have few complications to health. Again: generally yes, in the hands of a dentist who knows what he is doing! That being said, there are risks with every surgery - not just implant surgery. Click here to find out about the common complications associated with implants! Studies have shown that implants can be expected to last at least 10 years. However, its longevity depends on how well you maintain them. 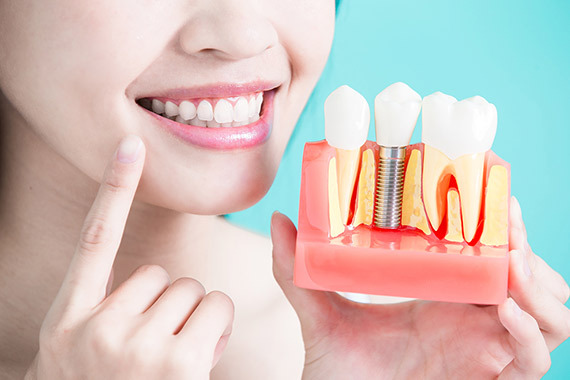 Click here to find out how to maintain your dental implants! Am I suitable for implants?What are the alternatives to implants?What are the benefits of implants?What are the disadvantages of implants?My dentist says that I need bone grafting - what is that?Implants: Five potential complicationsHow long do implants last?Cost of implants in SingaporeImmediate implants explainedImplants: The ProcedureWhat are mini implants?When to not have implants?Which brand of implants to choose?